Howard Miller Bar Devino Wine Bar (P/N 695-080). 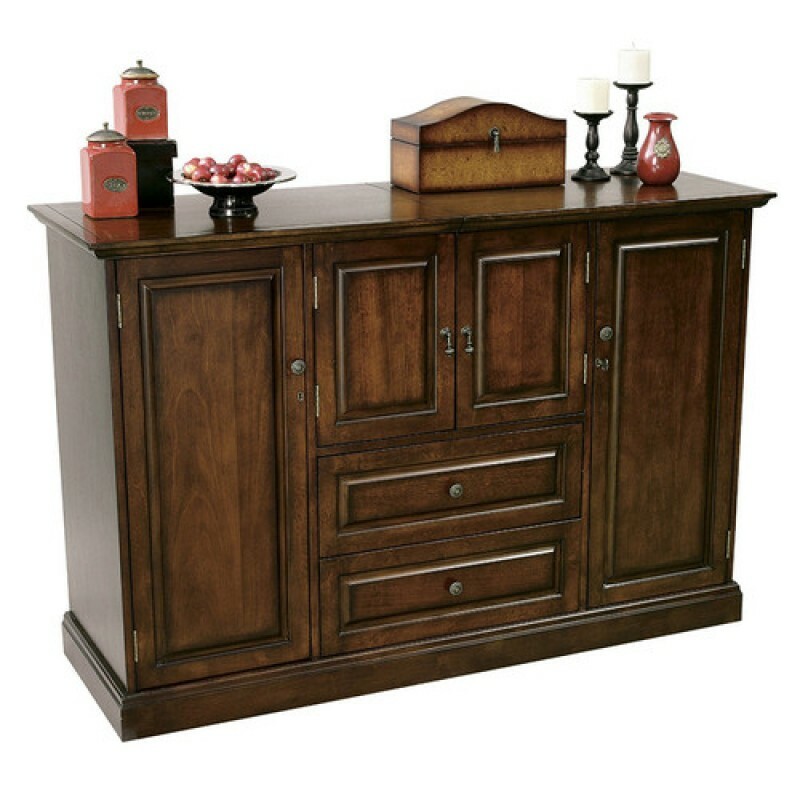 Americana Cherry in select hardwoods and veneer with antique brass door pulls. It is finished on all sides for flexible placement anywhere in a room. Two-tiered nested bottle storage drawers hold 38 wine bottles and feature metal slides for smooth-running performance. 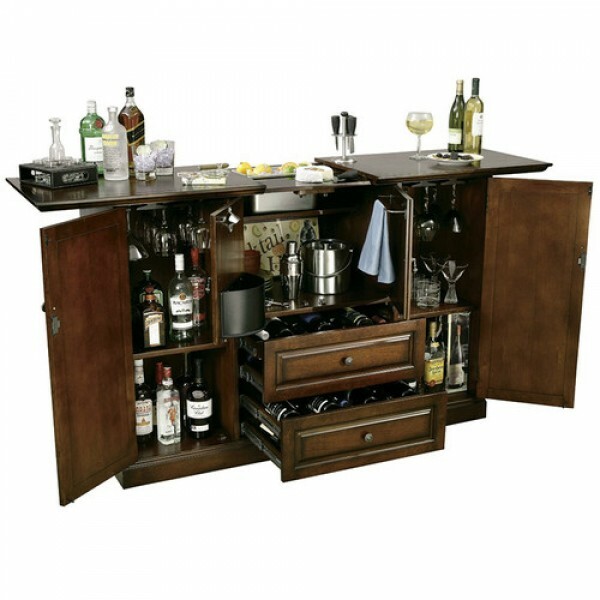 A wood stemware rack for 12 and an adjustable shelf on each side provide ample storage space for glassware and liquor. 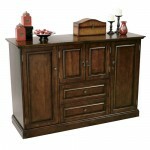 The center of the cabinet offers additional room for storage. The door locks to provide added security. The top surface slides open to reveal a granite work surface and removable ice sink. A fixed bottle opener, removable catch basket and towel bar are attached to the inside of the cabinet's center doors. Adjustable levelers under each corner provide stability on uneven surfaces and carpeted floors. The Bar Devino Hide-A-Bar features raised panel doors and drawers with Antique Brass door pulls, and is finished on all sides for flexible placement anywhere in a room.